There still wasn’t much color around the pond from the trees or other vegetation. But the water was still making lovely reflections. The birds in the bigger island trees are mostly Cormorants with a few Great Egrets and Great Blue Herons sprinkled in. Taken 2/12/2018 with the Sony Alpha 6500, 18-105 Lens, Processed in Lightroom and NIK Color FX Pro 4. 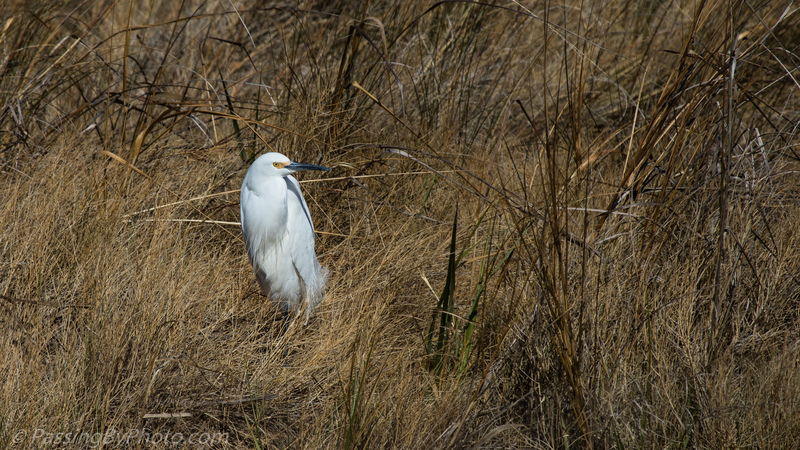 This small island in a small pond seemed like an odd place for a Snowy Egret to hang around. He was in the middle where it appeared dry so there wouldn’t be much to eat. 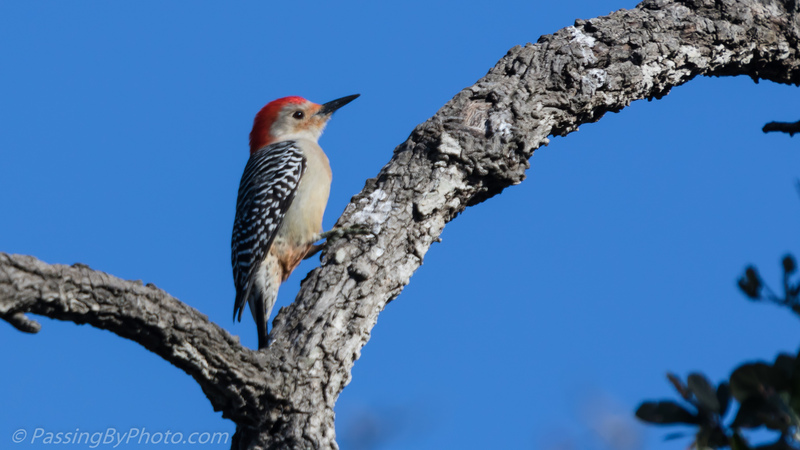 It was good for me that the dormant grasses have fallen over so I had a clear view. 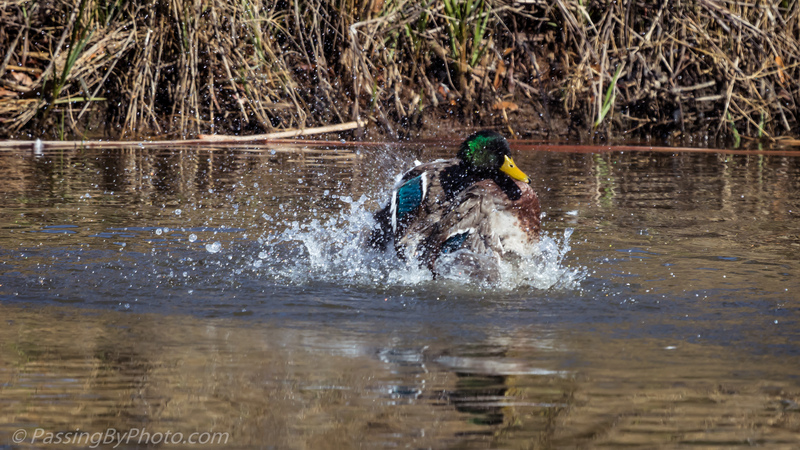 Mallards doing the Mallard bath in a pond, as can be seen throughout most of the United Sates and Canada. We rarely see Mallards in the other ponds we visit, but Magnolia Cemetery is more of an urban location where you would expect them to congregate. The sun was perfect on this early February afternoon and the Mallards were enjoying an unseasonably warm day. 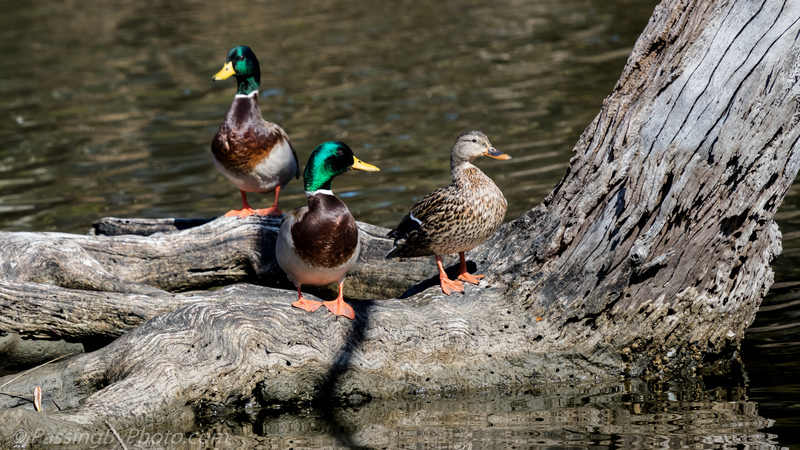 After bathing they had a dead tree trunk to perch on, out of the water and with a good view of potential hazards. This pond does host a few Alligators, I have seen fox on the cemetery grounds, and a few Red-shouldered Hawks could be heard nearby. The same pair of Hooded Mergansers as yesterday’s post had places to go as they were out for a swim around one of Magnolia Cemetery’s ponds. 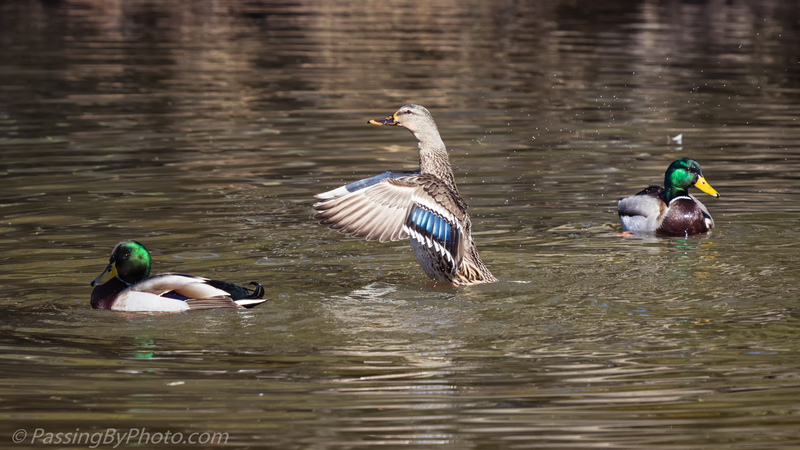 The male gradually caught up to the female as they passed this group of Mallards on the edge of a small island. The Mergansers weren’t in such a hurry that they chose to fly, but they didn’t divert even as the Mallards went about their preening and flapping. 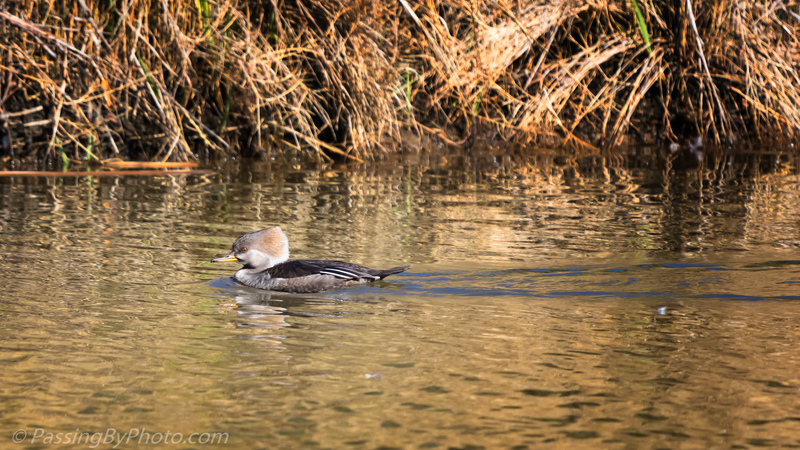 The Mergansers continued on their way, the female in the lead, headed out into the middle of the pond. This tree at Charleston’s Magnolia Cemetery has a huge amount of Spanish Moss draping through its branches. 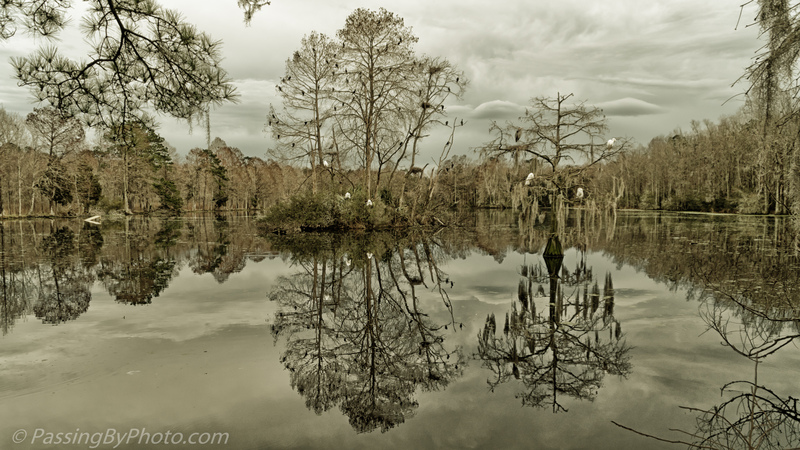 Several of the limbs hang out over a pond which make it a select spot for a Great Egret. 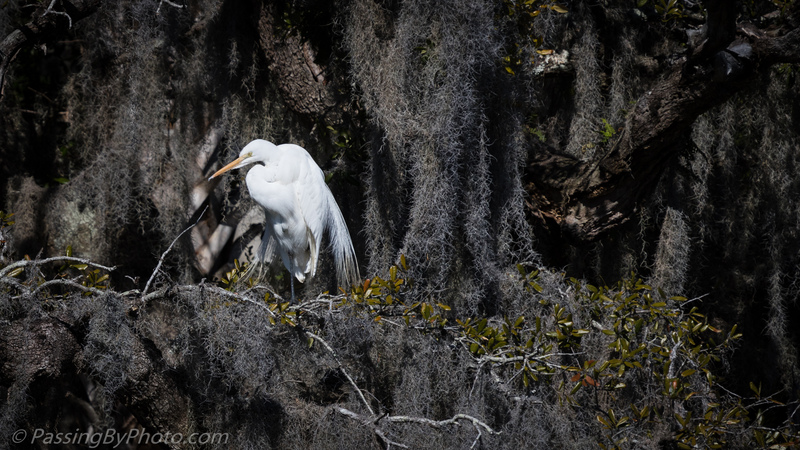 The Egret spent some time grooming then settled to enjoy the sun. 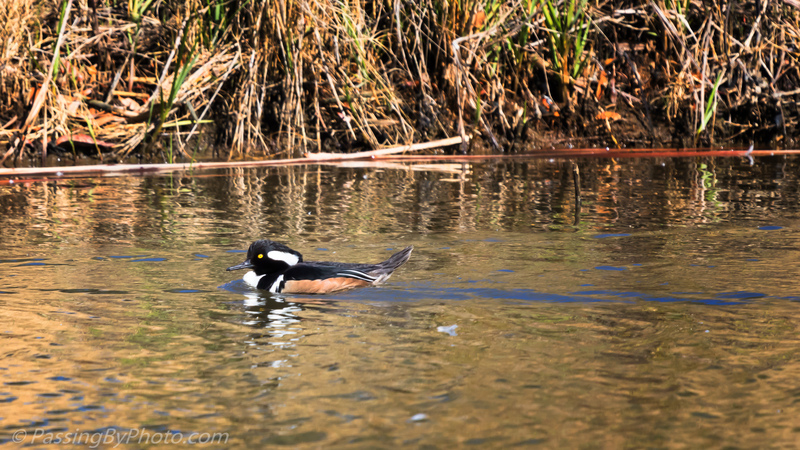 The Hooded Mergansers tend to be shy and I usually see them retreating shortly after I spot them. I happened to be sitting on a low wall watching a pond when these two swam by me, close enough to get a shot. The brown reeds and grasses of late winter made a golden glow on the water, a nice complement to these gorgeous ducks. 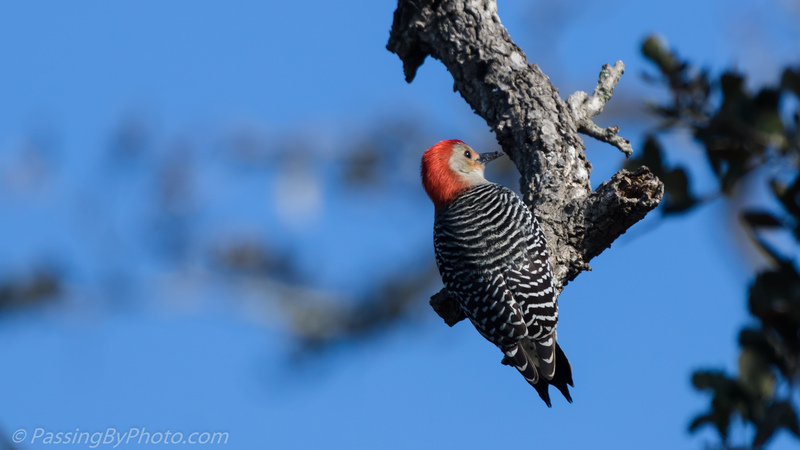 The male is certainly flashier, especially when he has his hood up, but the female is an understated beauty. 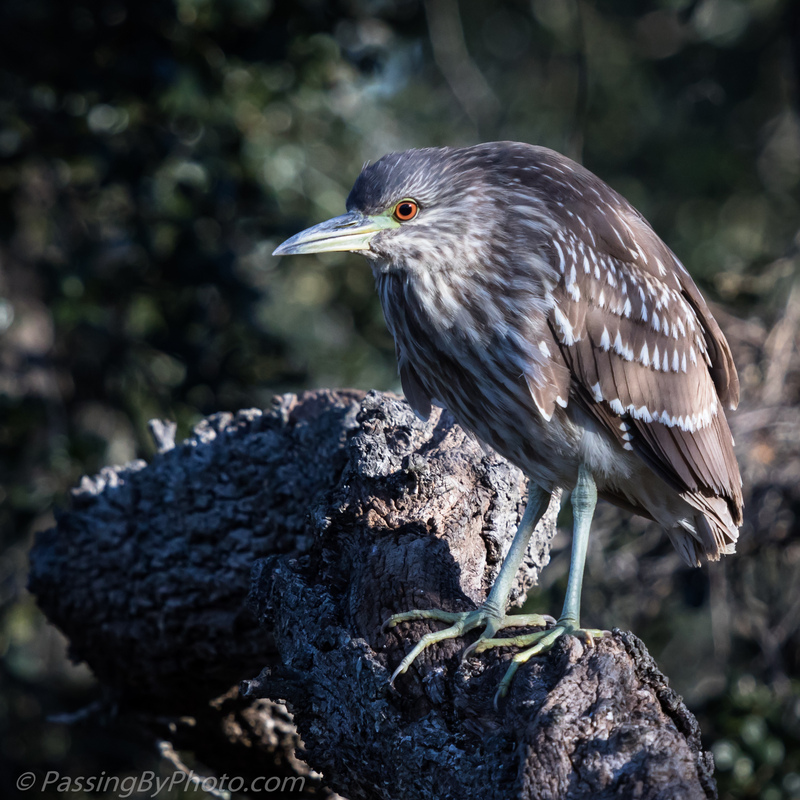 The juvenile Night-Herons were more active on this morning in the rookery than the snoozing adults. 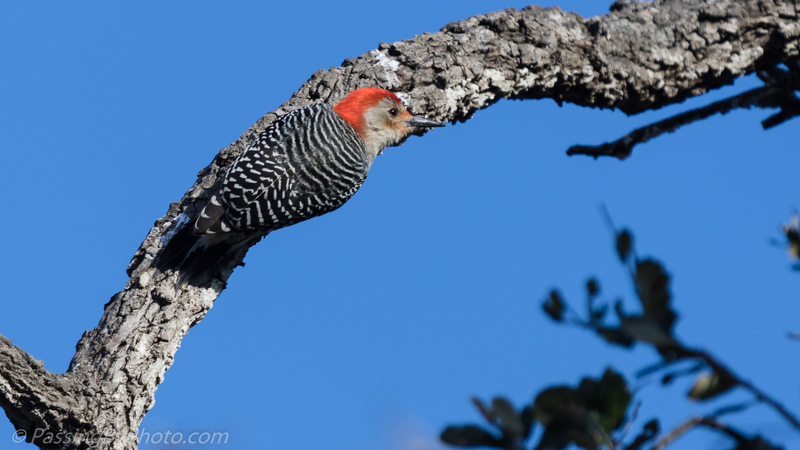 A few of them were wandering around on these gnarly tree branches in the dappled sun. 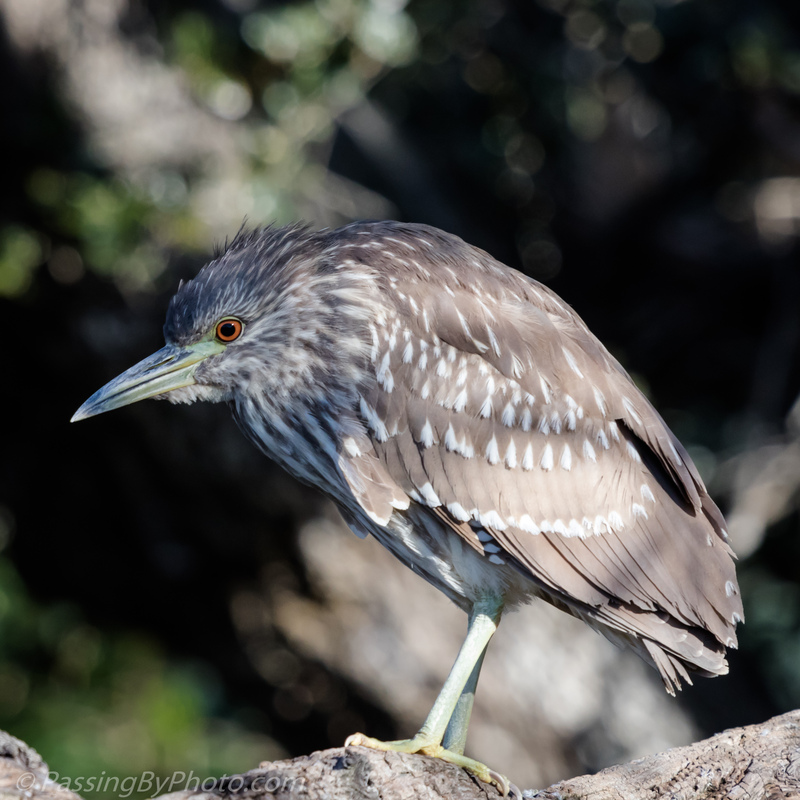 A comparison of the juvenile Yellow-crowned Night-Heron and juvenile Black-crowned Night-Heron at All About Birds finds they are quite similar, with the Black-crowned variety having “larger spots and bolder streaks.” Hard to tell unless you have one of each side-by-side. 1/30/2018, St. Augustine Alligator Farm, St. Augustine, Florida. 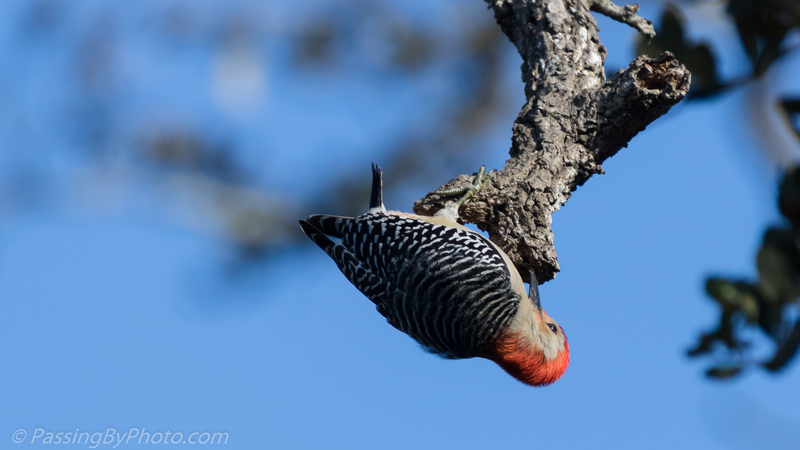 Looking for something to eat in the crevices of this dead branch this Red-bellied Woodpecker kept trying, but I didn’t see him find anything. Upside down didn’t work so he flipped upright. He paused for a nice profile shot. Scouting out his next spot, he was gone in a flash. 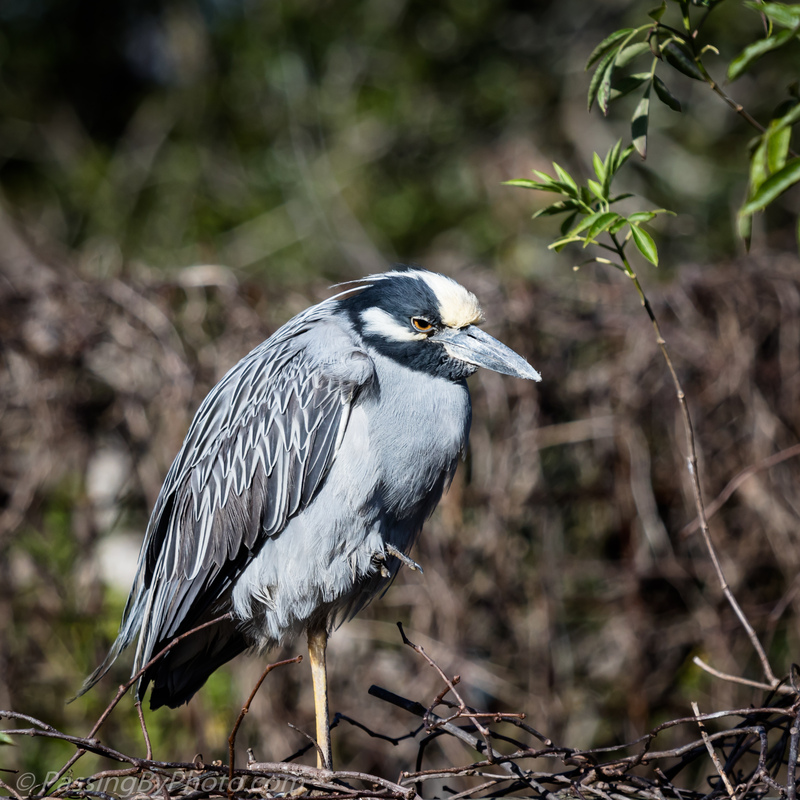 Several Yellow-crowned Night-Herons were scattered around the rookery soaking up the morning sun. 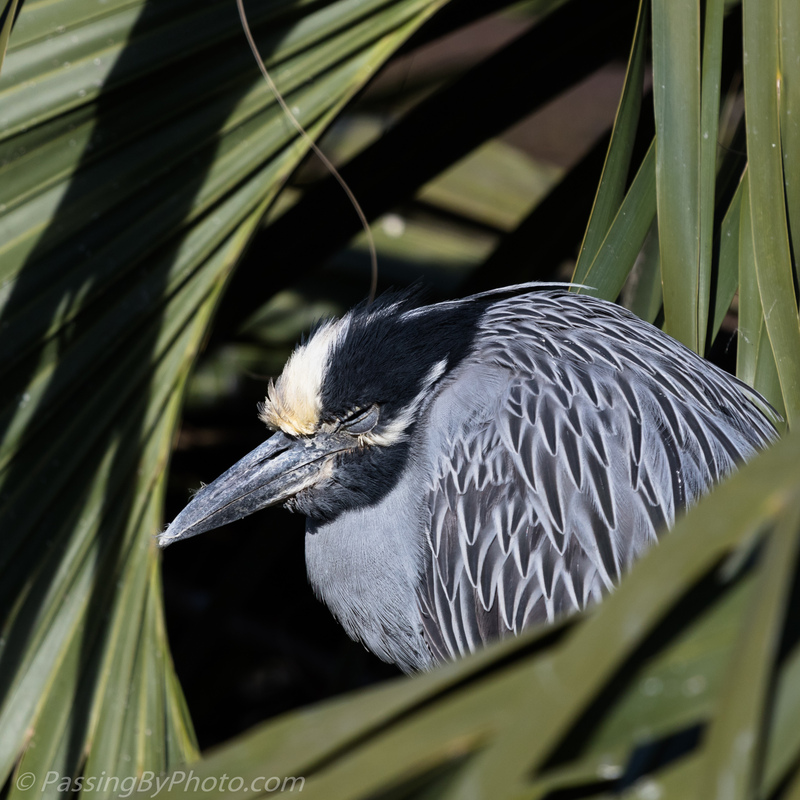 This one was tucked in the fronds of a palm tree showing off his blue/grey feathers.. 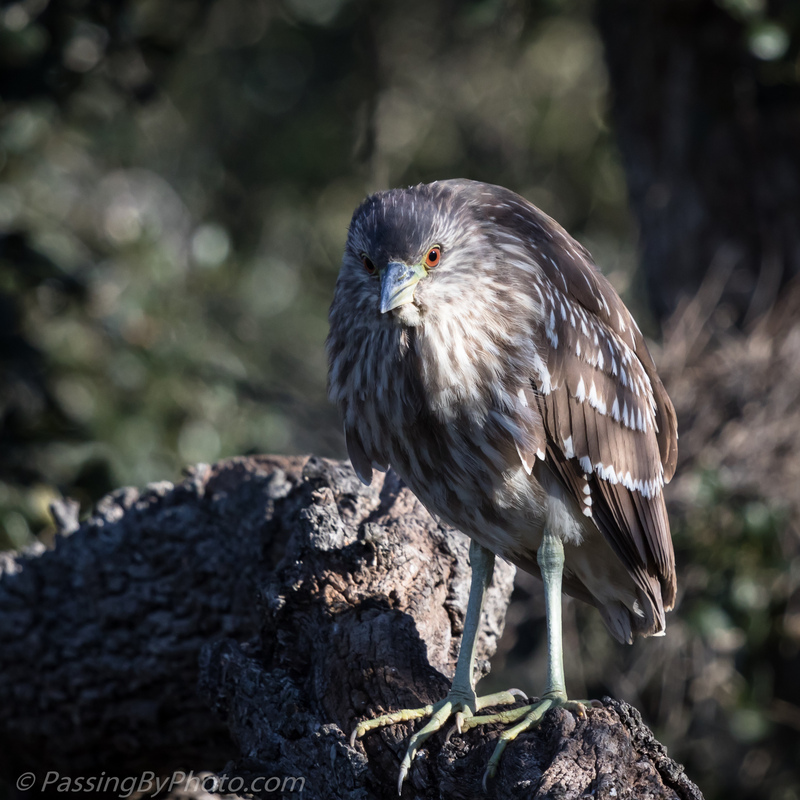 The back of this rookery property has a double fence to contain the alligators and this Heron took his spot on the inner layer where the vines were still dormant in late January. The brown layer behind the bird is the second fence, also covered with brown vines. 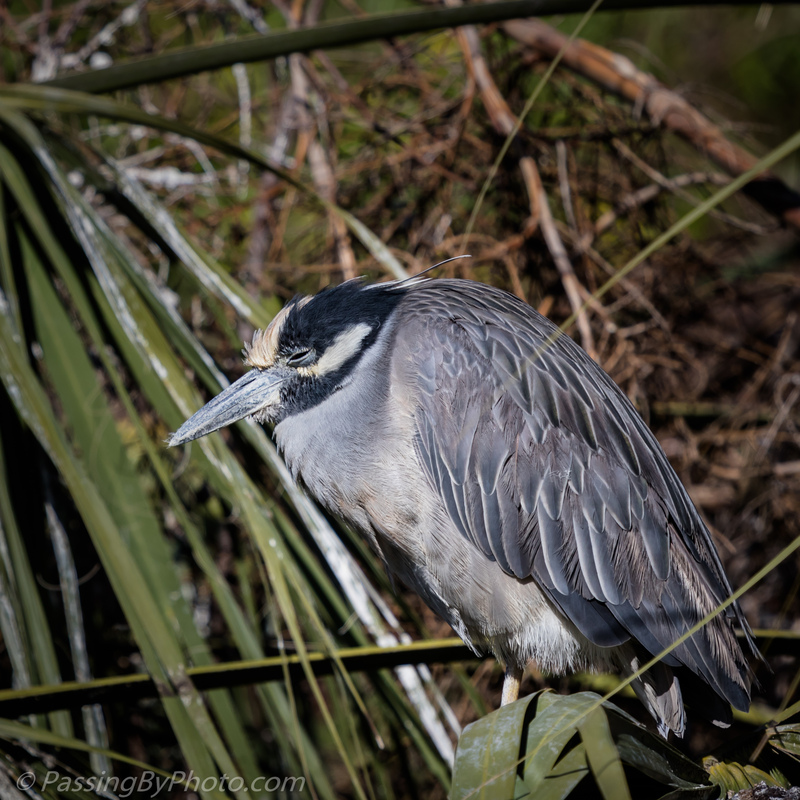 Known for sleeping during the day, these Herons stayed put for the few hours I was in the area, despite the cacophony of the other birds sharing the rookery. 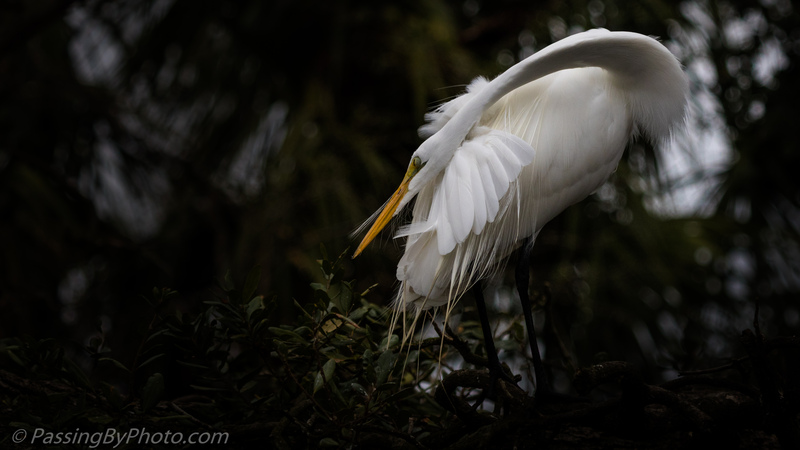 Using his flexible neck, this Great Egret is performing his grooming ritual at the end of the day. 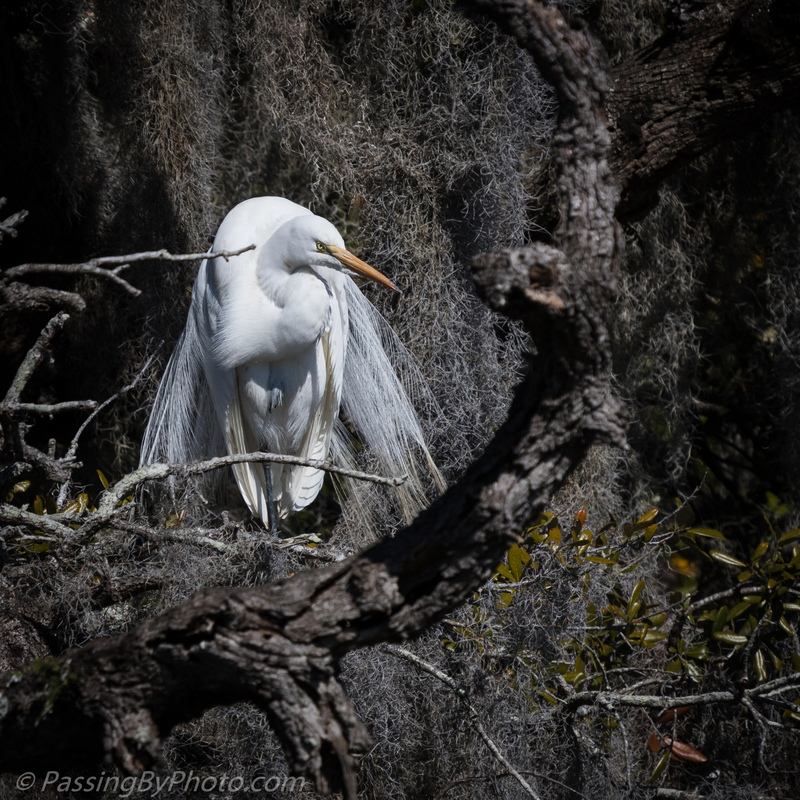 Great Egret – click image for larger view.